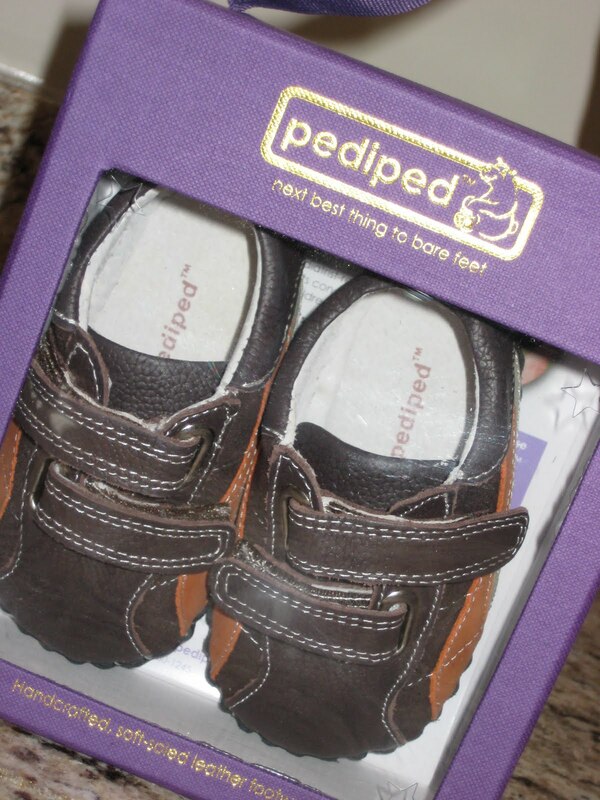 I actually came across Pediped® Footwear a few years ago, when I was browsing Nordstrom online, looking for dressy shoes for my daughter. 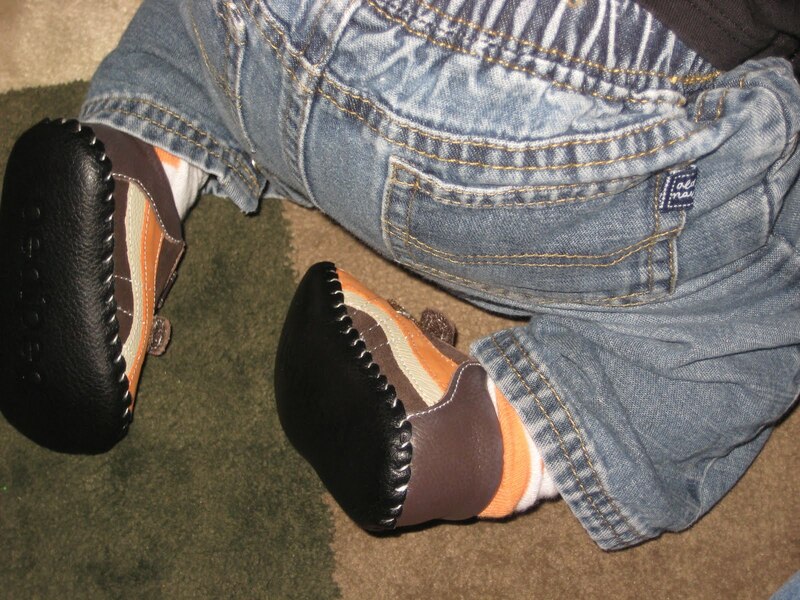 My son is lazy not walking yet, but he is cruising, so I wanted to get him a good, supportive pair of shoes to wear while we were out, that wouldn’t interfere with his learning to walk. When my daughter was his age, we put her in Robeez, since we knew how important it was for her to be able to feel and grip the floor. 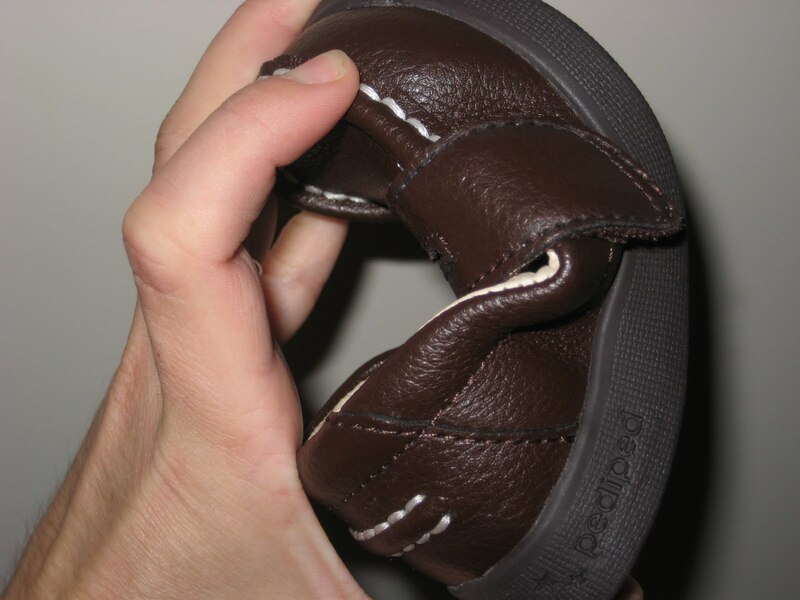 However, they were more like glorified slippers, and while they were fine for inside, they didn’t do much good outside. 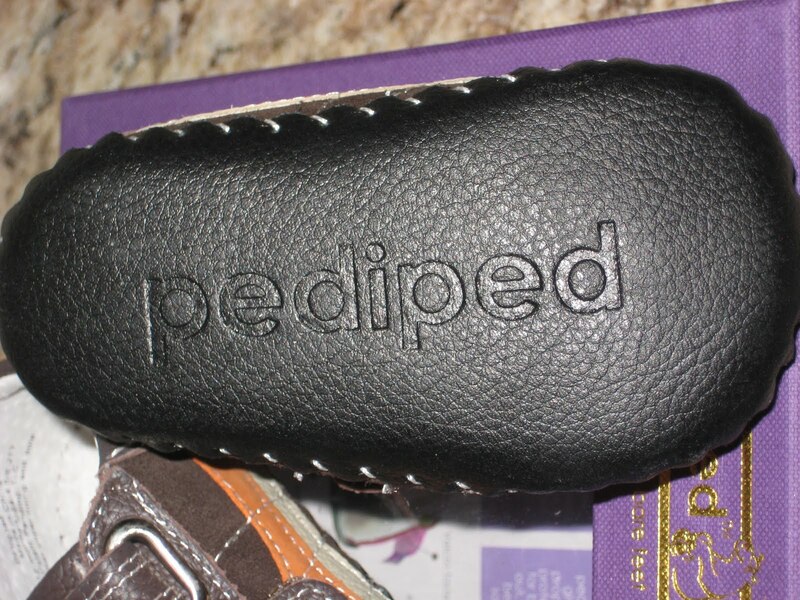 You can read about the Pediped Originals system to see why I settled on Pediped. I finally bit the bullet when I discovered the boys sale section and grabbed the zach for $12.00. The regular prices are really quite expensive in my opinion, but then again I’m cheap frugal. After actually seeing and feeling them, I would seriously consider paying full price for them. They’re not even in the same neighborhood as Robeez. It’s hard to explain the quality, but I think you can see it quite a bit in the photos. If they had my size, I’d totally wear ’em! I think they’re awfully cute too! 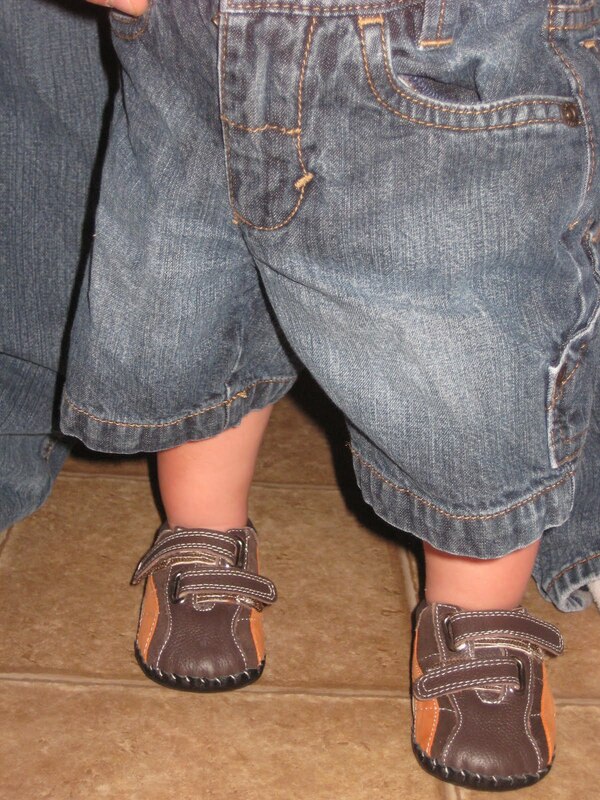 My son was about 14 months old when I bought these, but I chose a size 6-12 months using their printable sizing chart. This is supposed to be equivalent to a 4-4.5 US. I was actually worried that they might be a bit big, especially after reading that a 12 month size usually fits up to around 14 months (my son is quite small for his age.) 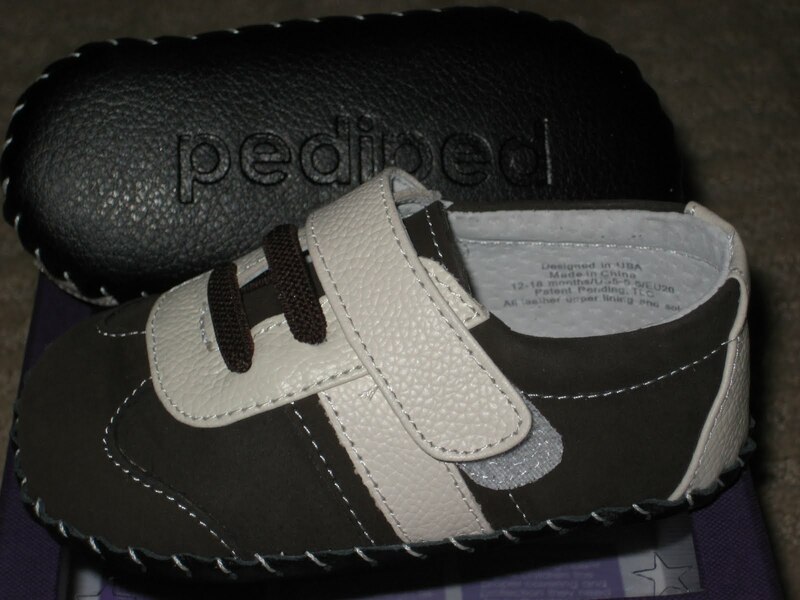 Above, left is the Pediped compared to a size 3 “crib” style shoe. 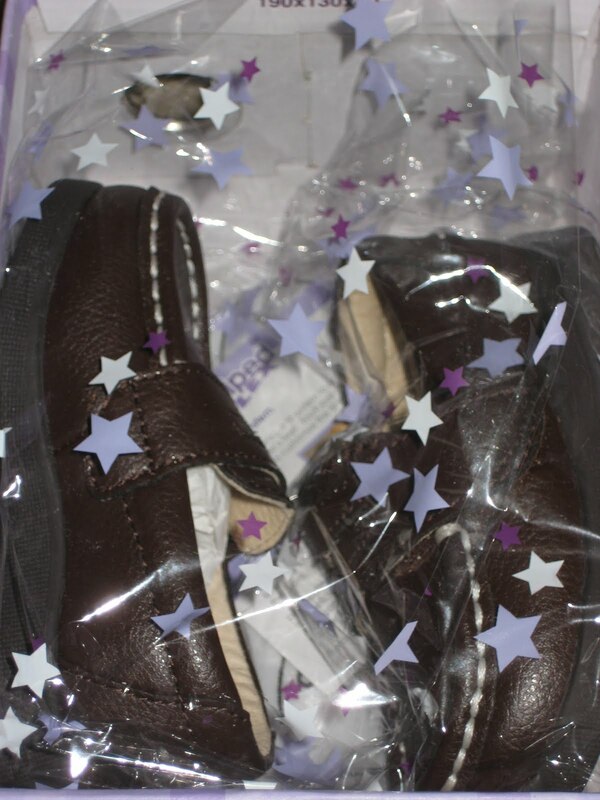 Right is a size 4 sneaker, the 6-12 month pediped, the size 3 crib shoe, and a size 4 sandal. 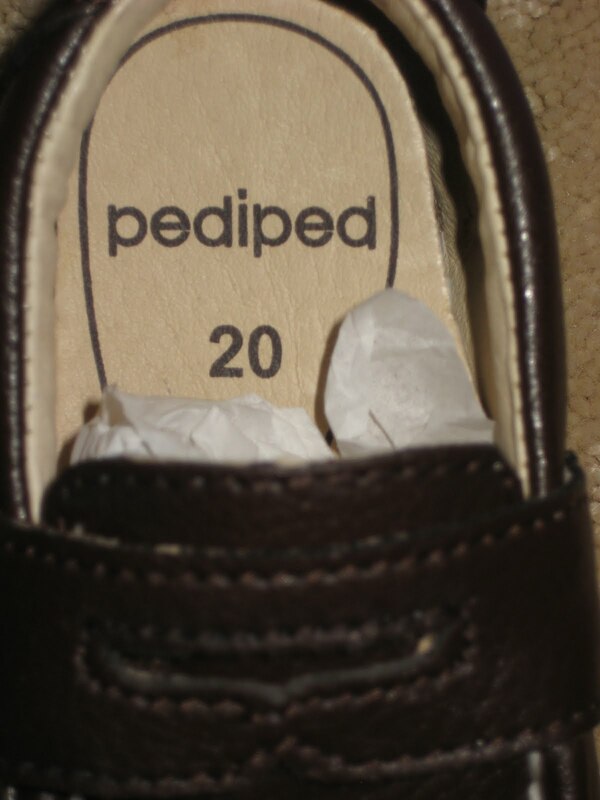 Keep in mind of course that there’s no bulky rubber sole on the pediped originals. I liked them so much that I was immediately plotting my purchase for the next size up. Luckily for me (and my checkbook), I received an email offering a Friends & Family discount at pediped’s sister website, Kinderbliss. Wait, what does that coupon say? Includes sale items? Those are the magic words that unlock my wallet! I chose the pediped originals baby kyle in 12-18 months, and to make my $5 shipping fee worthwhile, I also chose the pediped flex Charlie in size 5. Both pairs shipped (total) cost me $19 and change. Not bad shopping if I do say so myself! 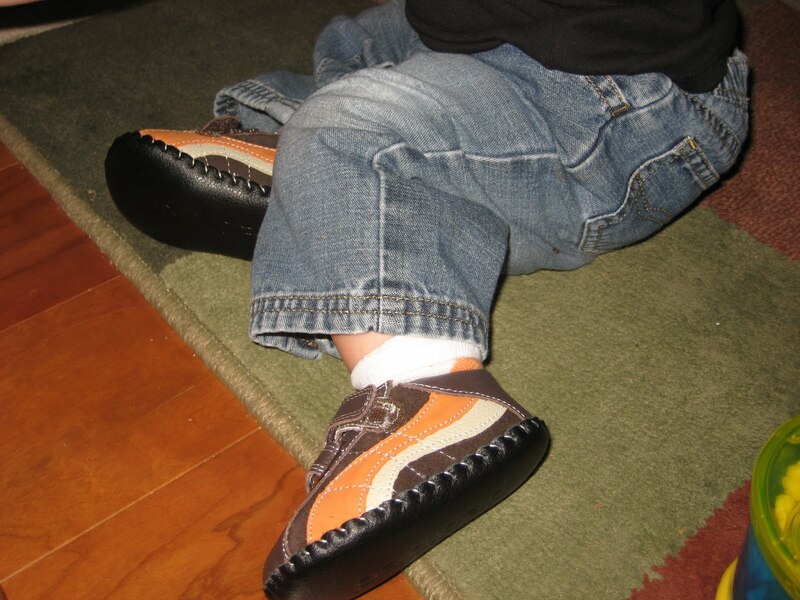 The pediped Flex come in sizes 5-12 and are designed for confident walkers. The boxes and packaging are so nice, I think they would make a fantastic gift! 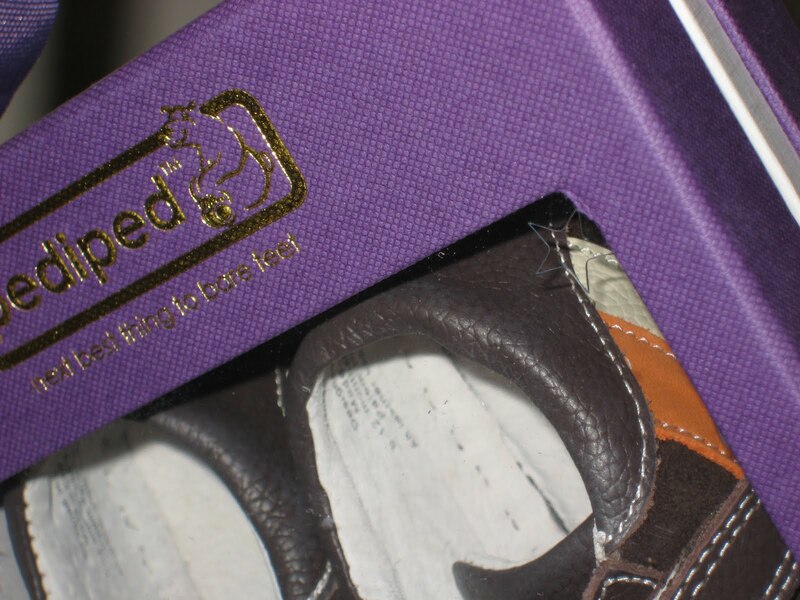 Pediped Flex shoes have the “flexfit system” that has an additional insole to adjust the fit and allow for extended wear. 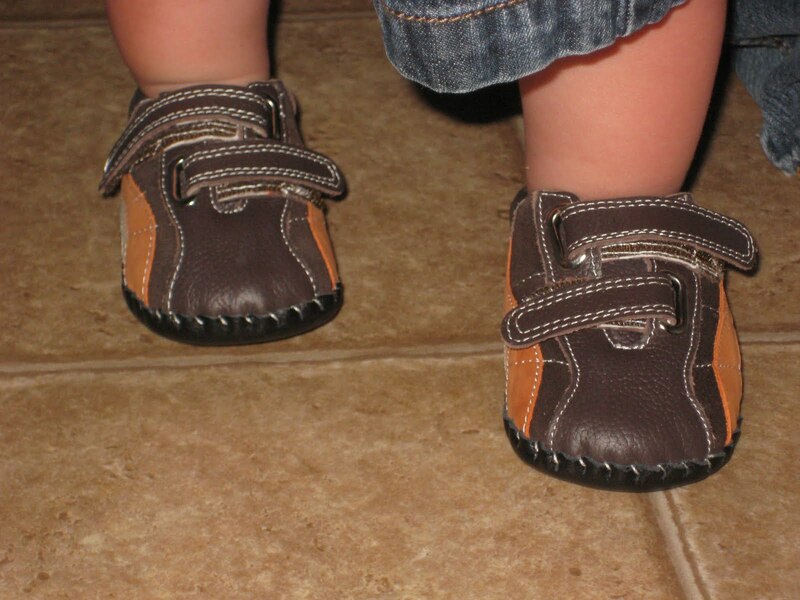 I’ve eyeballed these shoes since long before a little boy was so much as a thought in my mind. 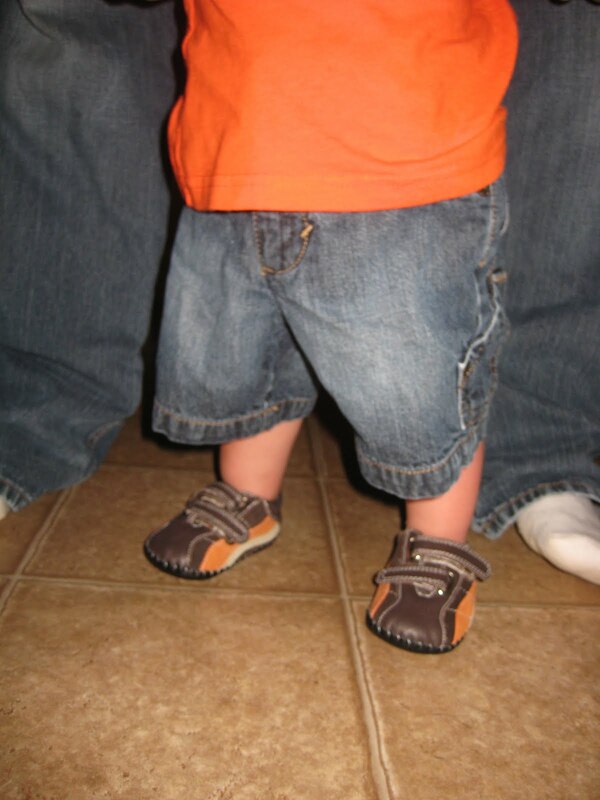 I just love “little man” clothes! Squee! 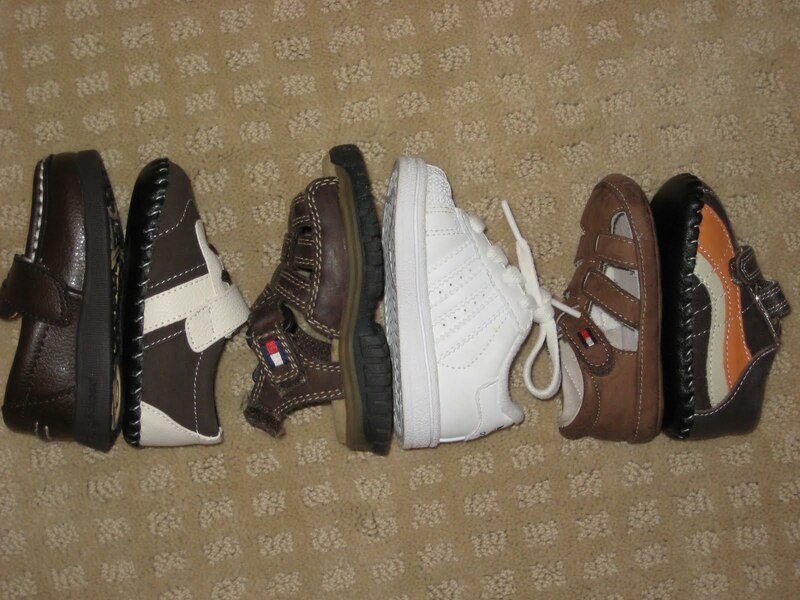 To compare size: on the left (left to right) is the size 5 pediped flex, 12-18 month pediped originals, size 4 sandals, size 4 sneaker, size 3 crib shoe and size 6-12 month pediped originals. On the right (top to bottom): pediped originals 6-12 month, size 3 crib shoe, size 4 sneaker, size 4 sandal, size 12-18 month pediped originals and size 5 pediped flex. So do they “flex?” Why, yes. Yes, they do. I definitely recommend watching the sale categories on both pediped and kinderbliss. I’m still stoked that I got 3 pair for about the cost of one! I was not compensated in any way for this review, and all opinions are my own. I purchased all items myself, and no links are affiliate links. If you are making a purchase and would like to support this blog, please see the affiliate links at the bottom of my shop page. I do have a pediped affiliate link, but I only found out about their program after I discovered how awesome these shoes are! Uh oh, I hope they get that worked out! I’m so glad you saved some money. 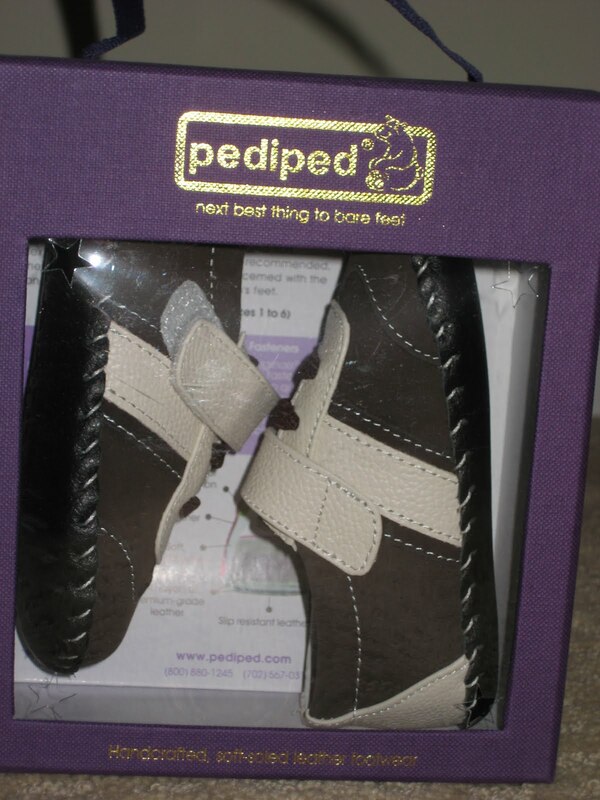 Enjoy your Pedipeds, we love them! We just bought my son some grip & go a few months ago (this post is about 3 years old!) and I didn’t notice anything. I’ll take a look now and see what has changed, thanks! I don’t see any changes: http://www.pediped.com/sizing.aspx but maybe I’m just being dense! We are skipping the Robeez for new baby too. Straight to the Pedipeds. DS LOVED them and he got a million compliments on them too. >$12 is an awesome deal!! >Ooh thanks for the review! My little one is going on 6 months and not really in any shoes yet but always good to know what ones are good ones!